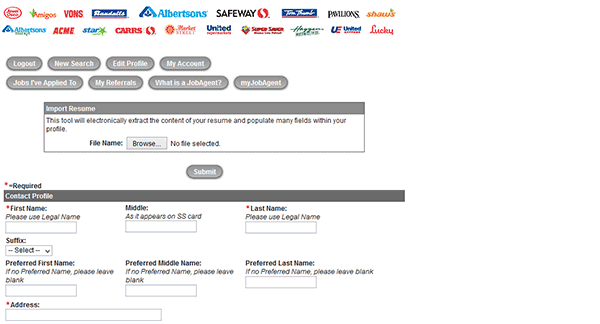 Use the instructions posted below to learn how to fill out and submit the Vons job application online. The application is currently not available for download. 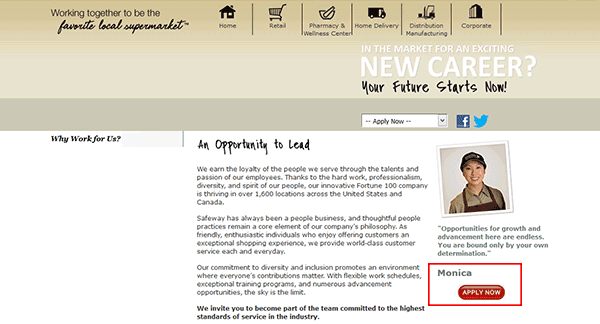 Retail, pharmacy, distribution, and corporate positions can all be searched and applied for on the company’s careers site. About the Company: Vons is an American grocery store chain headquartered out of Fullerton, California. 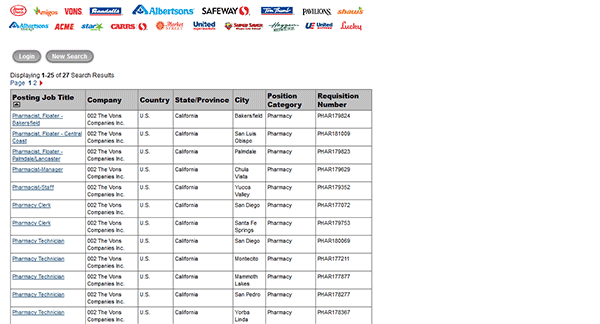 The company has over 300 locations throughout California and Nevada. The company was founded in 1906 and is currently owned by Albertsons. 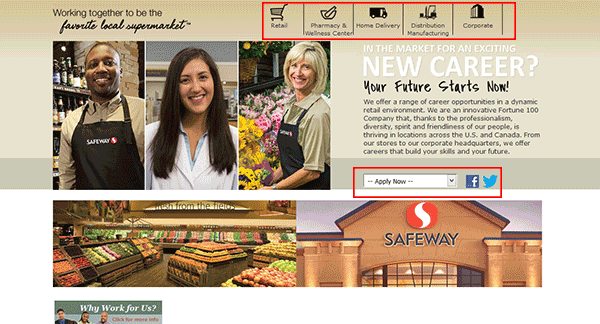 Step 1 – Go to the Safeway careers site (http://www.careersatsafeway.com/). 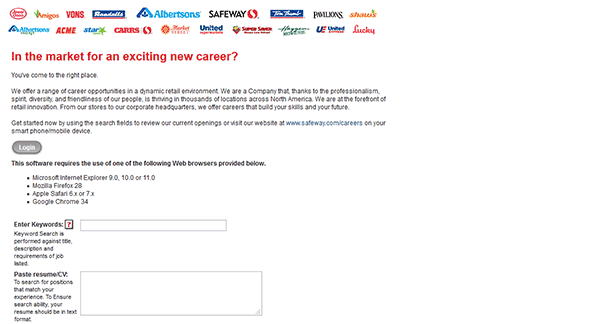 Step 2 – Click the link of the type of job you’re interested in (e.g. retail, pharmacy, corporate, distribution, etc.). Step 3 – Hit the button as shown in the screenshot. 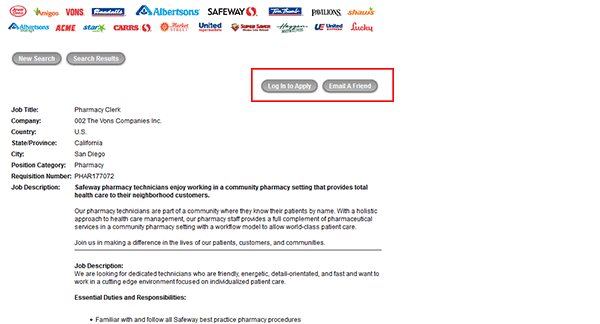 Step 4 – Select “Vons Companies” from the list of companies, and then click the “Search” button to view current openings. Step 5 – Click the job title link of the position you want to submit an application for. Step 6 – Read the job description, requirements, responsibilities, etc. and then press the “Log In” button to go to the next step. 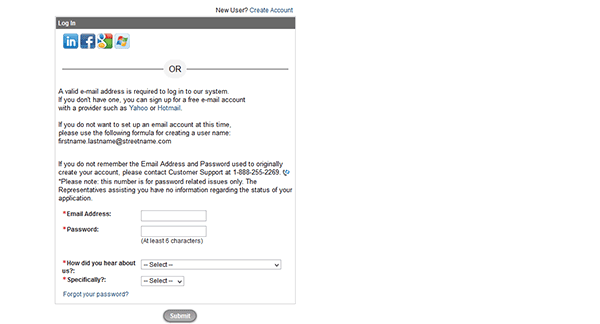 Step 7 – Enter your email address and create a password. Click the “Submit” button to move to the next section. Select three challenge questions and then provide the answers to those questions. Are you applying for a driver position?